An incredible ability awaits managers who practice Theory of Constraints (TOC) techniques: they can take a problem, look beyond the less important details, and directly identify the source of trouble. They’ve been known to promptly resolve perplexing matters – while the uninformed remain stuck. So many more managers could gain the benefit of TOC thinking… if they only took the time. Eli Schragenheim now offers an informative and enjoyable self-learning method, proving how TOC can be invaluable at a wide variety of workplaces. 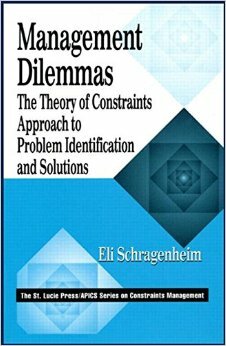 Management Dilemmas: The Theory of Constraints Approach to Problem Identification and Solutions conveys TOC methods through “virtual experience”-stories of managers and the situations they need to resolve. Take note of the dilemmas they’re facing. Think about how you would respond under those circumstances. Then, compare your reactions with Schragenheim’s TOC-influenced analysis. Associated with Dr. Eli Goldratt (the founder of TOC) for seven years, Schragenheim doesn’t tell how the stories end. Instead, he encourages the reader to try out TOC techniques-especially the need to arrive at the most precise answer by raising the right questions. The conclusions you reach today could greatly help your on-the-job thinking tomorrow! 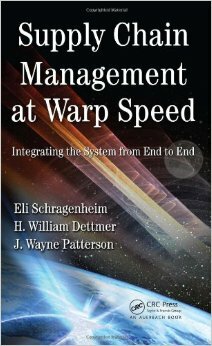 In 2000, Schragenheim and Dettmer published the ground-breaking Manufacturing at Warp Speed. At the time, the cutting-edge ideas expressed were the original work of the authors and not well-known beyond the book’s audience. 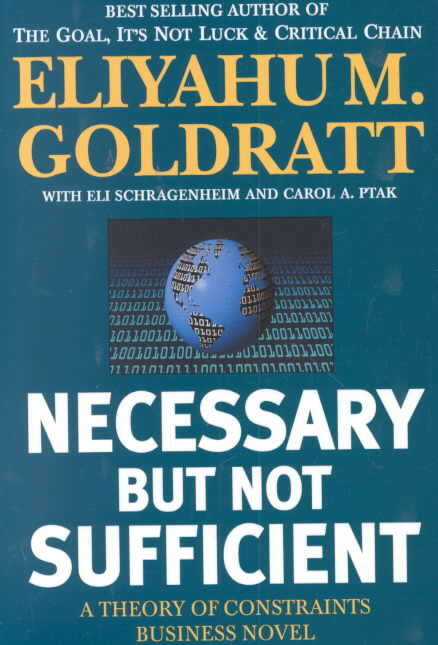 In the years that followed, Dr. Eliyahu Goldratt, father of the Theory of Constraints (TOC), adopted their ideas, added his own valuable insights, and popularized them worldwide. Supply Chain Management at Warp Speed serves as the sequel that refines and updates the former approach to production management with new ideas that complement earlier tactics. The authors’ prime motivation for writing this book was to integrate the TOC method for managing the distribution of finished goods with the acquisition of raw materials and the manufacturing process. The result is the first book to describe, in detail, the application of the TOC approach to assured availability in distribution, for both original equipment manufacturers and retailers. This cutting-edge reference broadens the scope of its predecessor by integrating manufacturing, distribution, and raw material management into a single end-to-end supply chain. It addresses the new demands taken on when a firm offers to handle rush orders. It also reviews the issues surrounding availability and the management of inventory moving through distribution systems. Fully illustrated, with numerous examples, case studies, and manufacturing scenarios, Supply Chain Management at Warp Speed provides TOC practitioners with the tools needed to address the performance issues of the entire supply chain and develop solutions that represent a win for the end-user as well as stakeholders along the entire supply chain. After reading the newspapers and following the sharp oscillations of the stock market, it becomes apparent that hi-tech companies are of a different breed. Never before have the chances of making a fortune been so realistic and never before have large companies been so fragile. What is really going on inside these hi-tech companies? What types of pressures and challenges are they facing? And how do they cope? Computer software providers, especially the ones that specialize in handling the data needs of organizations, are prime examples of these volatile companies. In the nineties we witnessed their growth from small businesses into multi-billion dollar giants. No wonder investors were attracted. In 1998 it was easy for such companies to raise as much money as they wanted. But now, investment funds have dried up. Why? And more importantly, is there a way to reverse the trend? This book gives the answers. 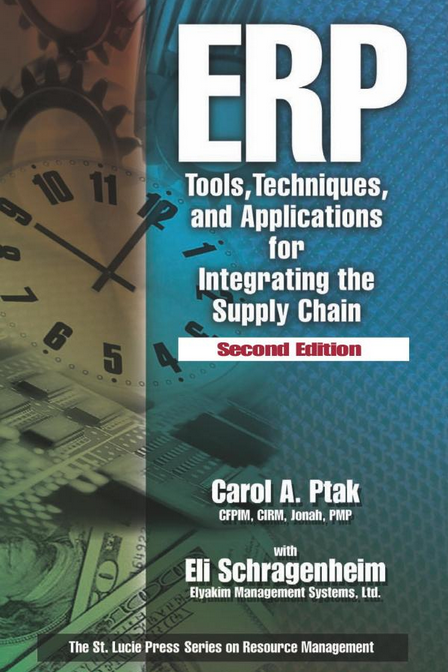 Completely revised and updated, ERP: Tools, Techniques, and Applications for Integrating the Supply Chain, Second Edition describes, from the perspective of a business manager, concepts and tools for enterprise planning, management, and execution. The text is written in an easy-to-read format, with many real examples from a variety of industries that illustrate key points. This book can be used over and over, as a quick reference to obtain insight into ERP topics. Customer relationship managementWith the help of a a Management Interactive Case Study System (MICSS) available for download, this volume explains the application of ERP tools and techniques to different types of businesses, and enables you to test the concepts in a computer simulation model. You can control the dynamics of handling an ERP program within a virtual company, and learn from the resulting analysis of how to guide to this company to financial success. This simulation package allows you to test your newly acquired knowledge before implementing your chosen ERP system. Manufacturing systems don’t exist in a vacuum, isolated from the rest of the company, but they are often managed that way. A truly effective, highly competitive manufacturing company integrates its manufacturing, marketing, sales, purchasing, and financial functions into a well-coordinated whole.Manufacturing at Warp Speed: Optimizing Supply Chain Financial Performance explains in detail how to coordinate all these functions to maximize sales revenue while controlling inventory and overhead costs. Ultimately, the effects of applying the new Simplified-Drum-Buffer-Rope (DBR II) introduced by the authors include dramatically faster manufacturing cycle times, shorter order-to-delivery lead times, higher on-time delivery reliability, and better customer satisfaction. The book gives you everything a typical production professional needs to implement this new DBR approach. A supplemental feature – the Management Interactive Case Study Simulator (MICSS) – is included with the book. Available for download via the CRC Press website, the simulator sets up a virtual company where you can test and practice the processes you learn in the book before implementing them in your organization. The book and software together constitute the complete package for learning how to streamline manufacturing operations. 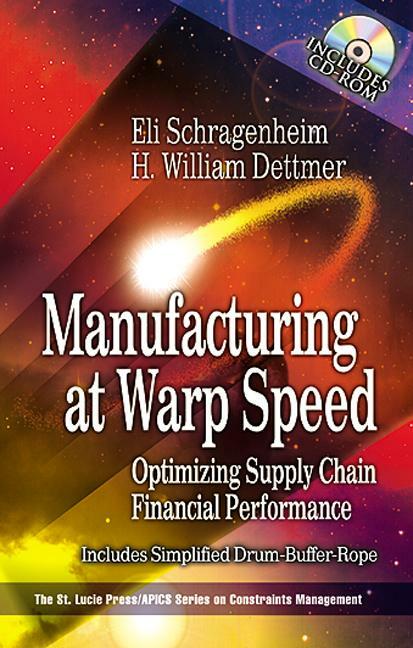 The first book available on second generation Drum-Buffer-Rope, Manufacturing at Warp Speed: Optimizing Supply Chain Financial Performance describes the simplest, most efficient methods for reducing manufacturing cycle time and increasing the speed of manufacturing yet devised. Fully illustrated, with numerous examples, case studies, and manufacturing scenarios, the book is so easy to read that even the novice can understand it. Correct use of this new method practically assures that your company has the competitive advantage. 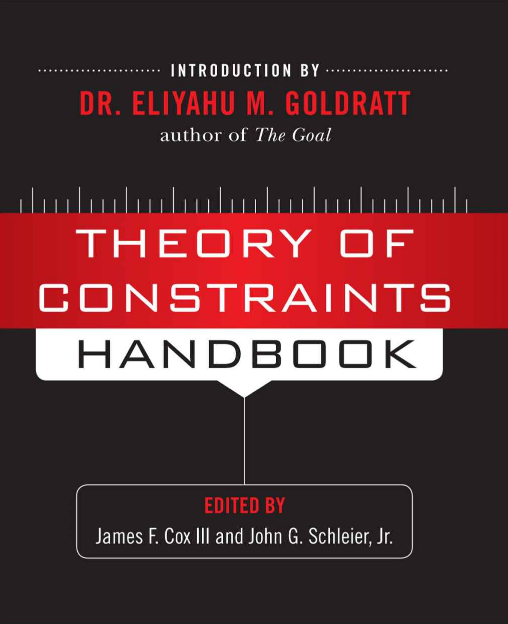 This is an individual chapter of Theory of Constraints Handbook. Simplified-Drum-buffer-rope (S-DBR) is a variation on the well-known Drum-buffer-rope (DBR) production planning methodology. The chapter explains the change in thought that has guided the change, and then details the new features of the S-DBR method for make-to-order. The planning process is analyzed by three different perspectives. First, by the five focusing steps, a cornerstone in the TOC thinking. The second by recognizing the distinction between planning and execution that aim to handle the uncertainty in the best way. The last perspective is the four rules of flow, Dr. Goldrattâ€™s reflections on the achievements of Henry Ford and Dr. Ohno. The chapter explains the main ingredients of the planning methodology: the use of just one buffer, the load control on the weakest link (planned-load), and how they determine the safe-date for any new order. Then the role of buffer management to handle the one and only priority scheme in the shop is explained in detail. Additional issues include the use of capacity reservation to handle situations of committing to very fast response to certain customers. Also discussed is the idea of the â€œslackâ€ â€“ taking advantage of offering the standard lead-times rather than offering the earlier safe-date. The scope of S-DBR is carefully analyzed showing how most of the â€˜complexitiesâ€™ of certain shop floors can be resolved. Situations where certain changes to S-DBR are necessary are analyzed as well. The last part of the chapter deals with implementation issues. This is an individual chapter of Theory of Constraints Handbook. This chapter highlights a significant change in the TOC methodology regarding make-to-stock. One of the aspects of the change is refraining from determining a due date for a production order that is for stock. Another significant change is to acknowledge the difference between make-to-stock (MTS) and make-to-availability (MTA). MTA is a commitment to maintain availability of stock at all times. This means adopting a marketing approach coupled with operational capability. Certainly MTA means producing to stock, but not every make-to-stock order supports the commitment of full availability at all times. The chapter deals with the current misunderstanding of forecasts, and develops the cause and effect logic behind the required planning and execution rules for MTA. The term of â€˜target levelâ€™ describes the stock buffer, which is different than the regular TOC term of â€˜time buffer.â€™ The planning decisions are centered at fixing the inventory in the system. The matched buffer management rules determine the real priorities in the shop floor. The chapter discusses various MTA environments, like vendor-managed-inventory (VMI) and managing components for MTA, their related problems and the TOC solution for them. Also discussed is the mixed environment where make-to-order and make-to-availability exist side-by-side. The chapter ends by highlighting certain MTS environments that are not MTA. Amazing books, thank you writing them!!! Thank you for all your effort, commitment, and the strength to publish all these.